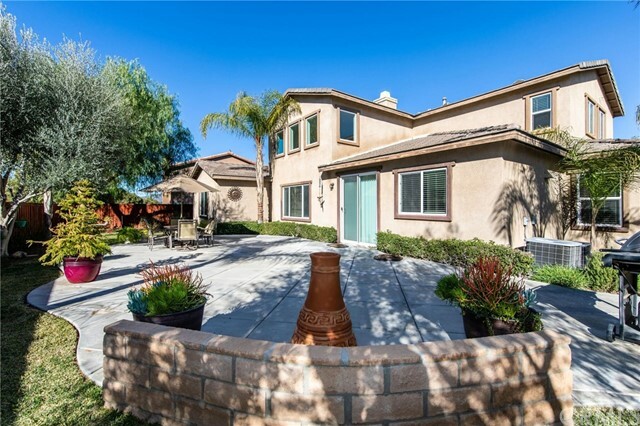 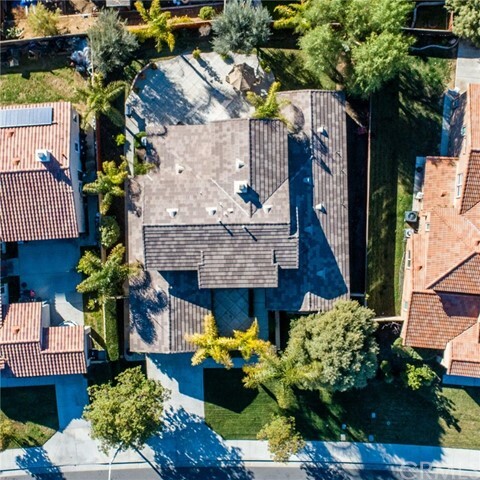 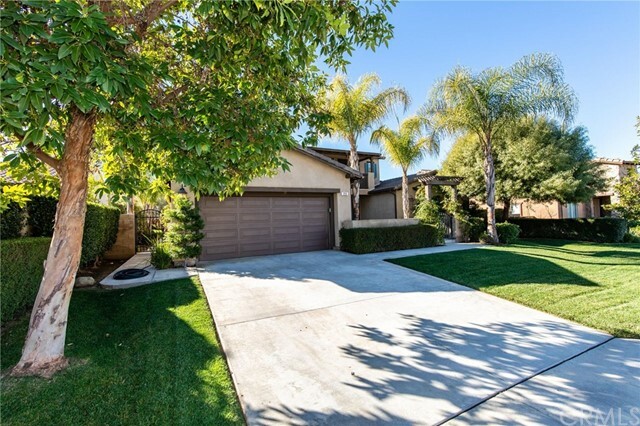 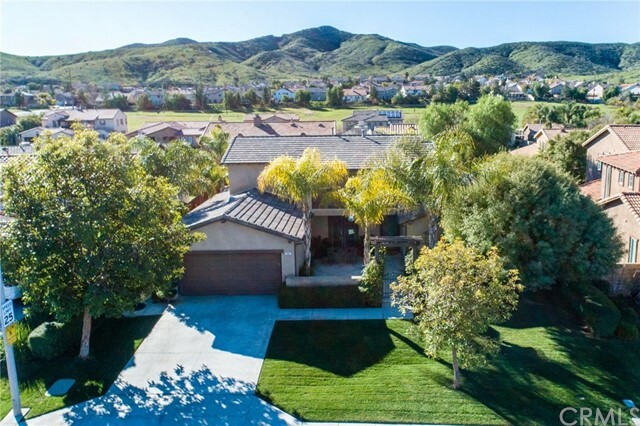 Potential RV PARKING & the MASTER BEDROOM is on the MAIN FLOOR in this Beautiful Home situated barely outside Menifee's NW hills, in Menifee Union School District. 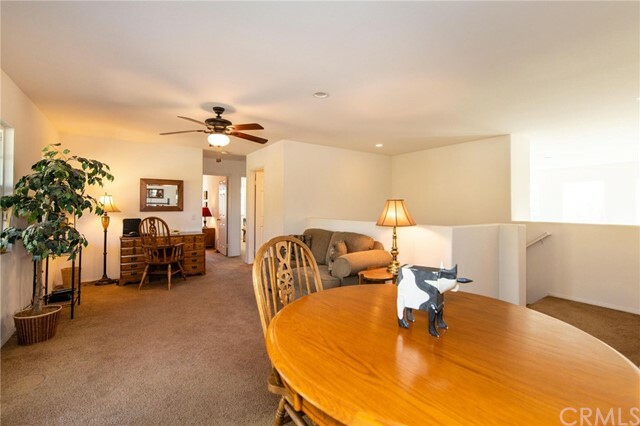 MONUMENT PARK is a wonderful single family home community with pride of ownership, community parks, but NO HOA. 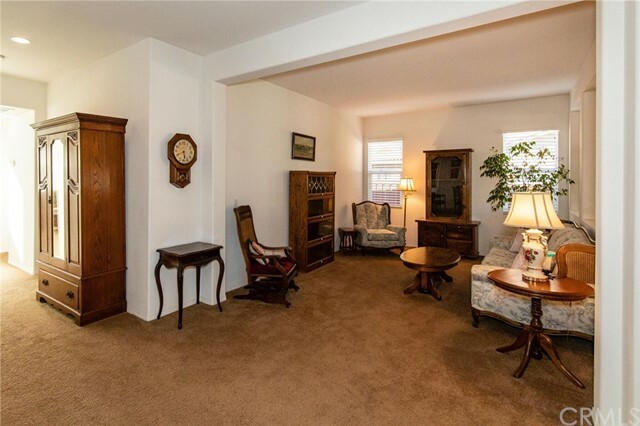 This home is a GEM, which you will notice the minute you drive up. 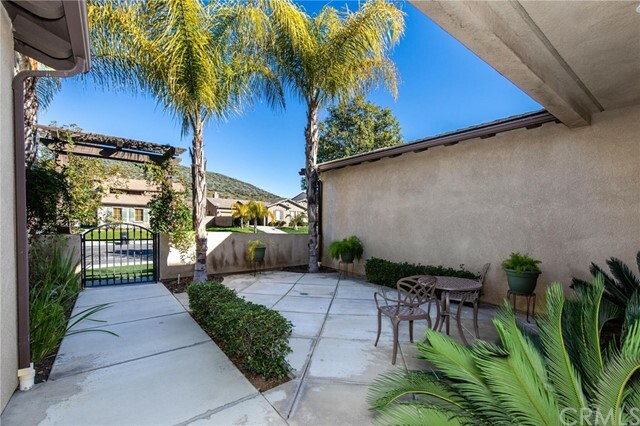 Gorgeous landscaping, and fabulous gated front patio. 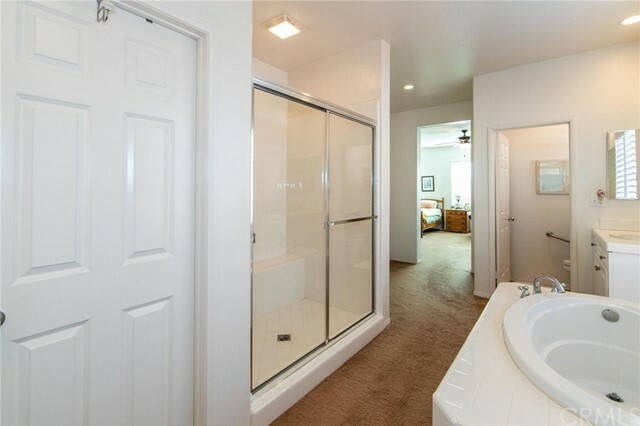 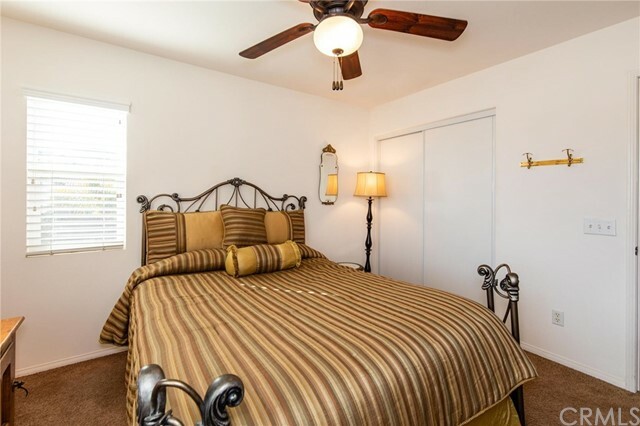 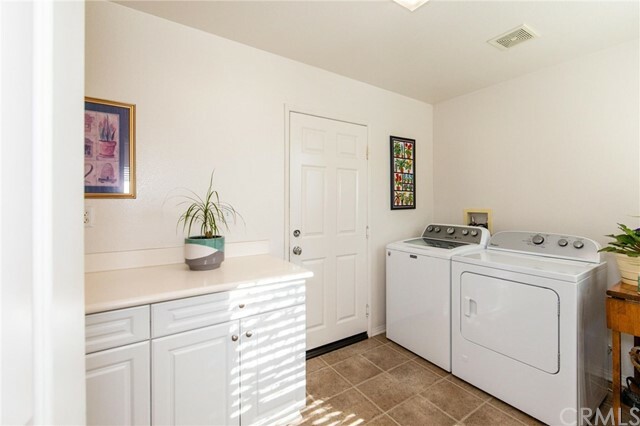 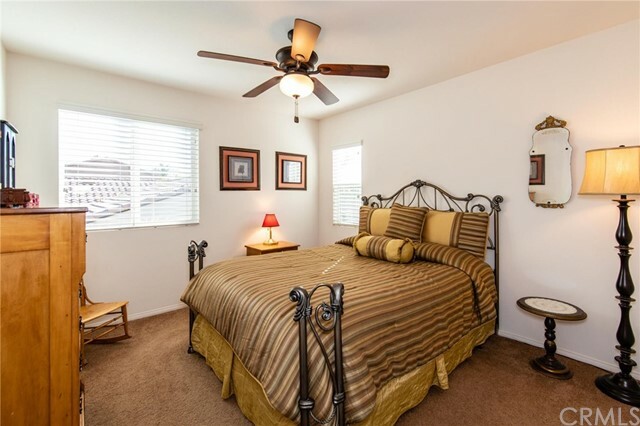 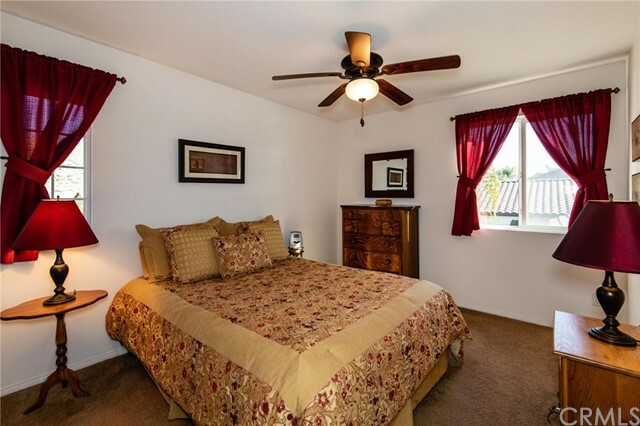 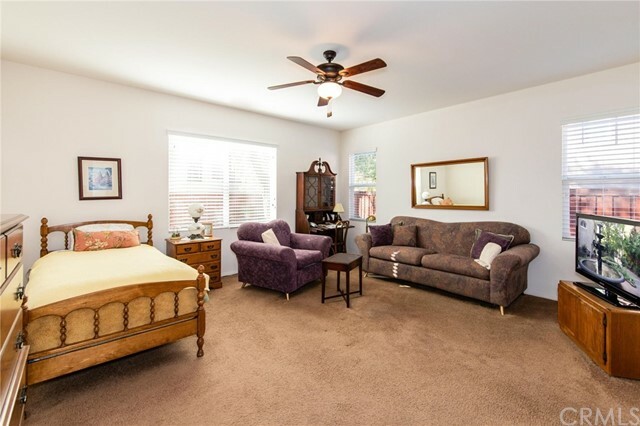 The large Master Bedroom is on the first floor and has two separate closets, dual vanities, large tub and a separate shower. 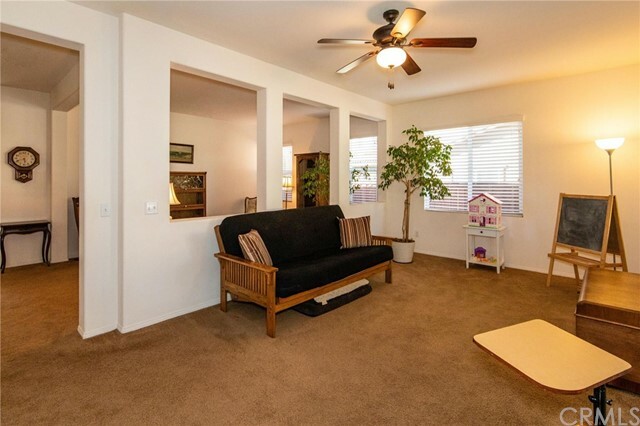 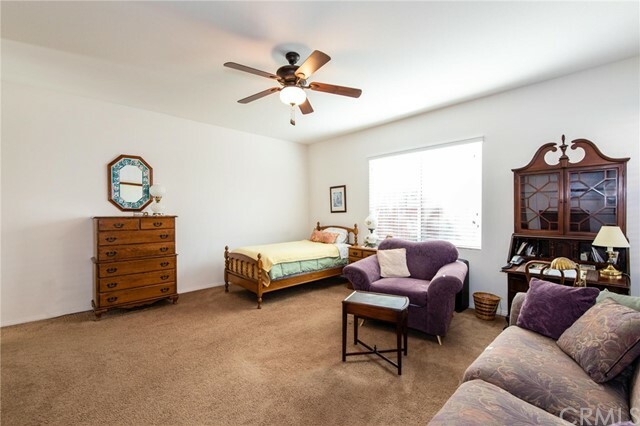 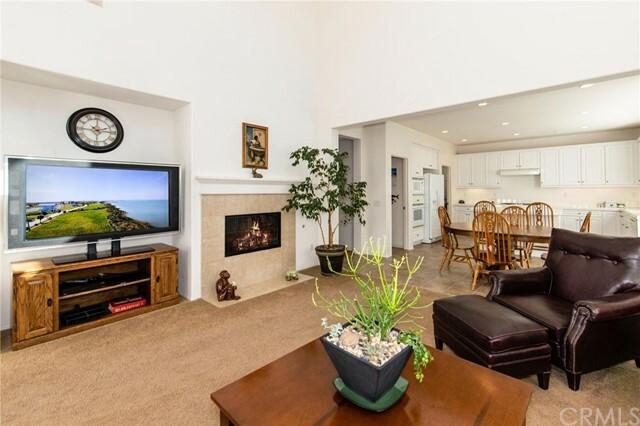 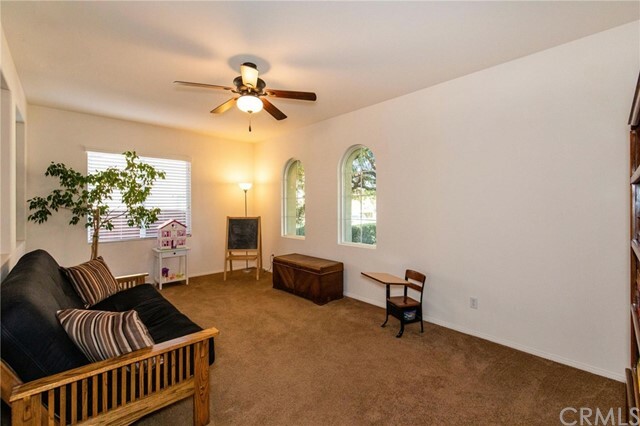 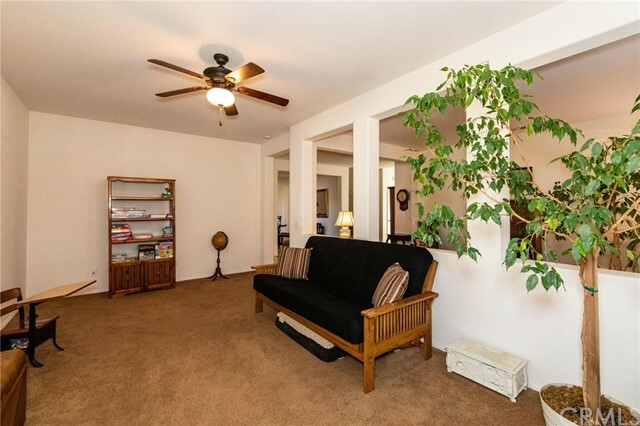 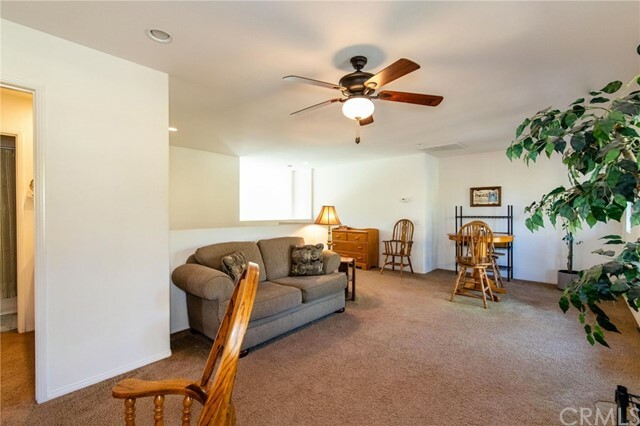 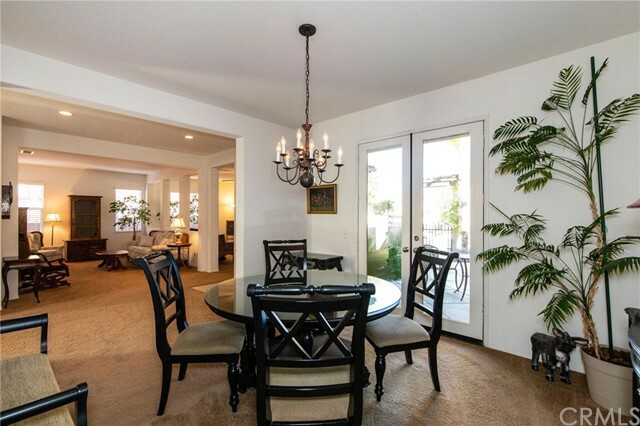 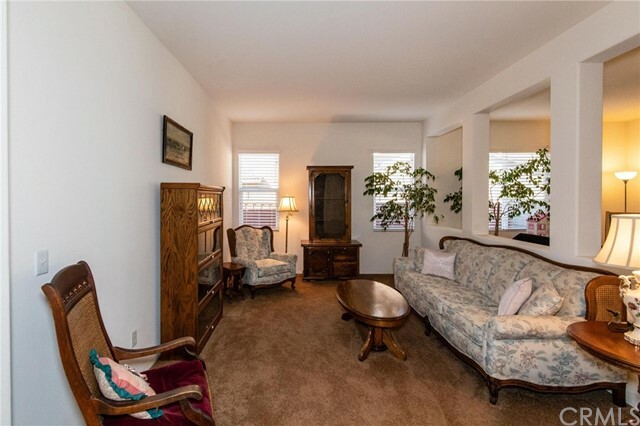 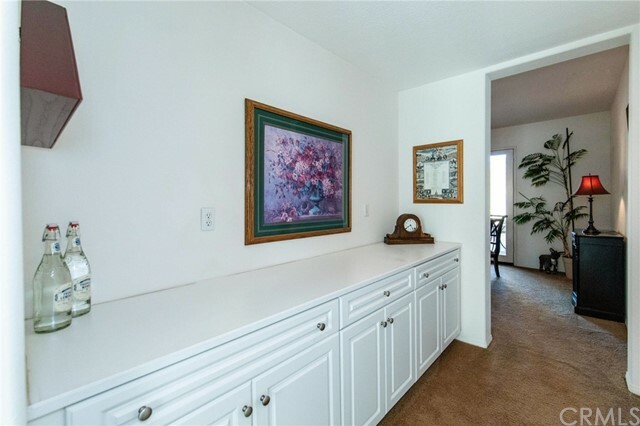 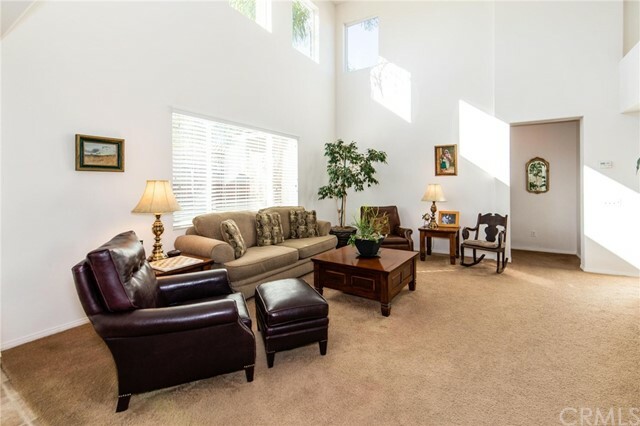 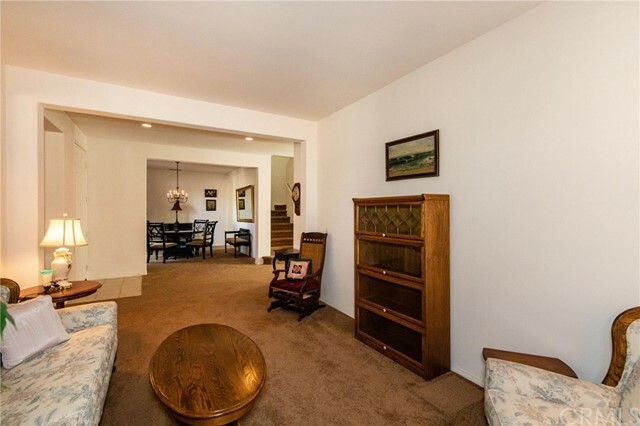 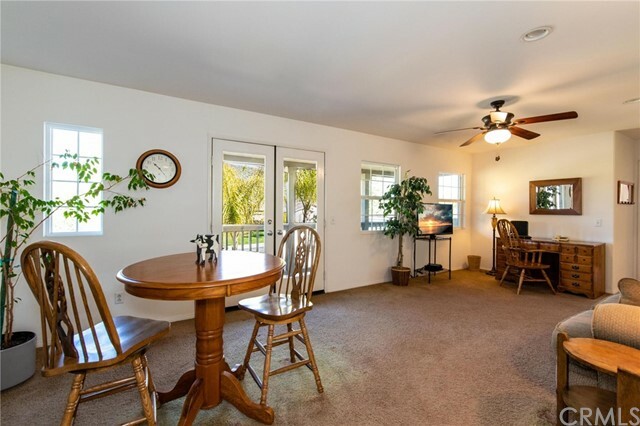 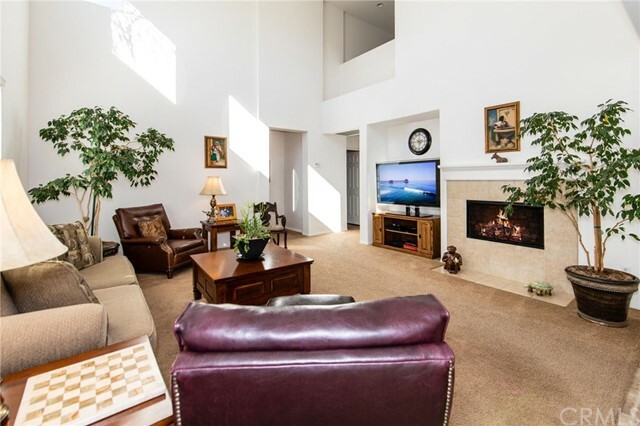 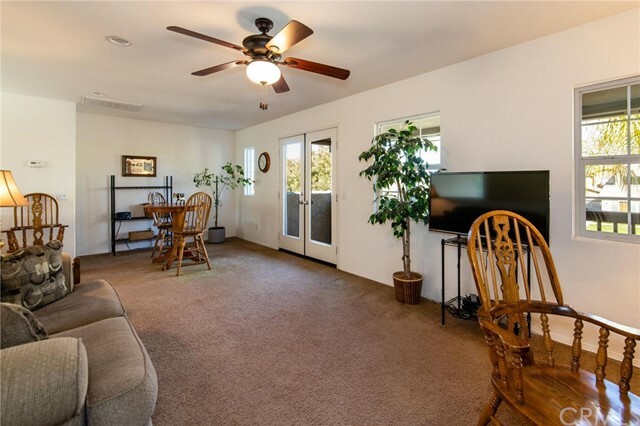 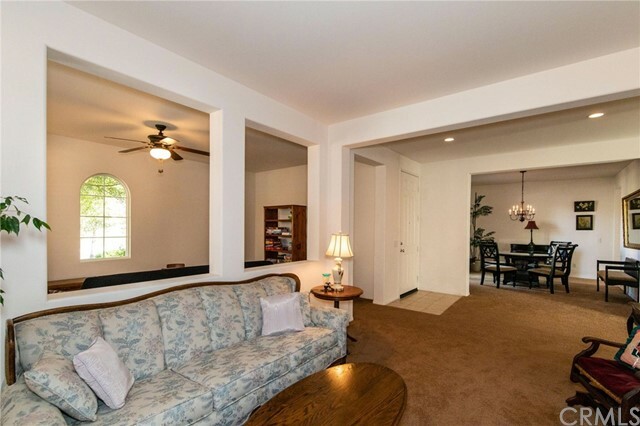 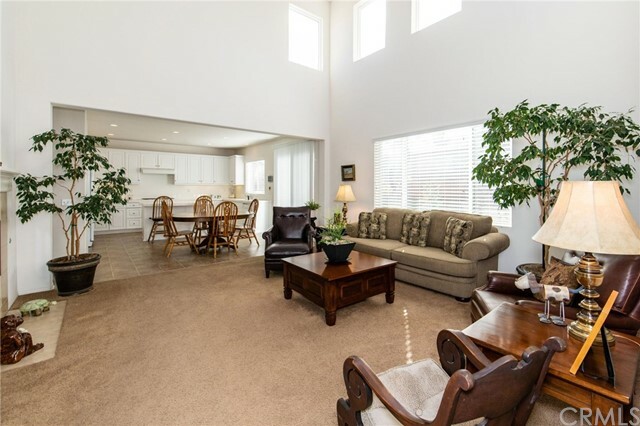 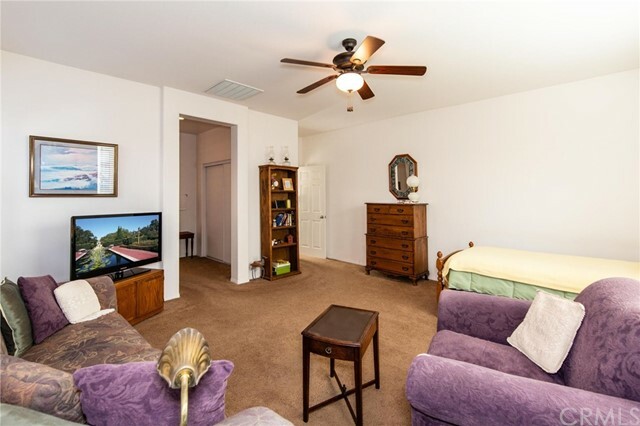 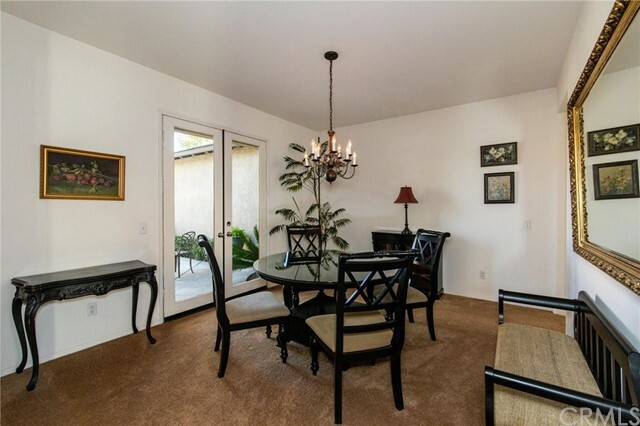 There is a Formal Living Room with a BONUS room that could easily be turned into BEDROOM 4. 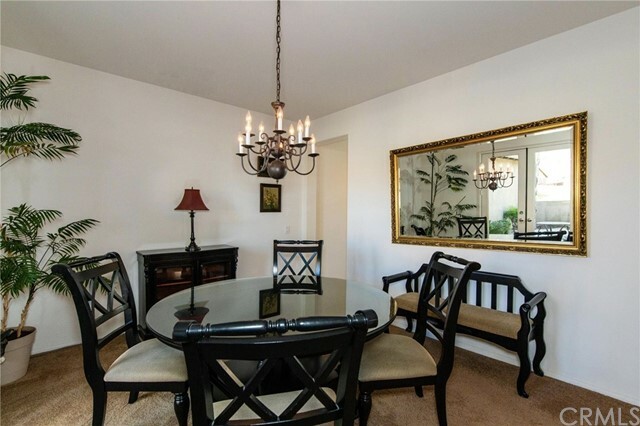 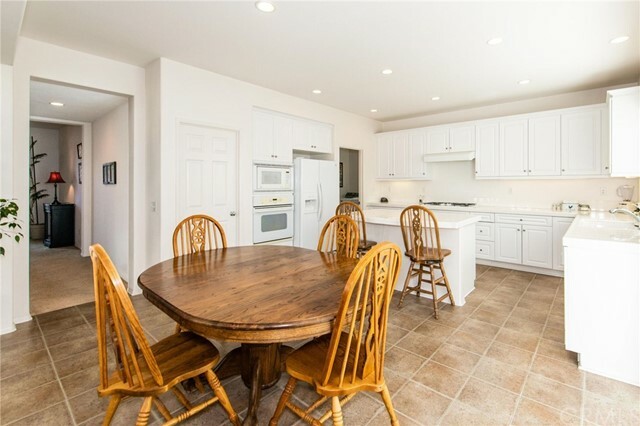 The Dining Room is separated from the kitchen by a Butler's pantry, which lots of great storage. 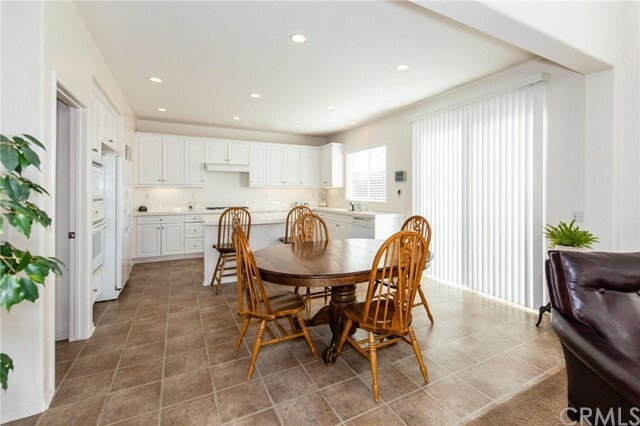 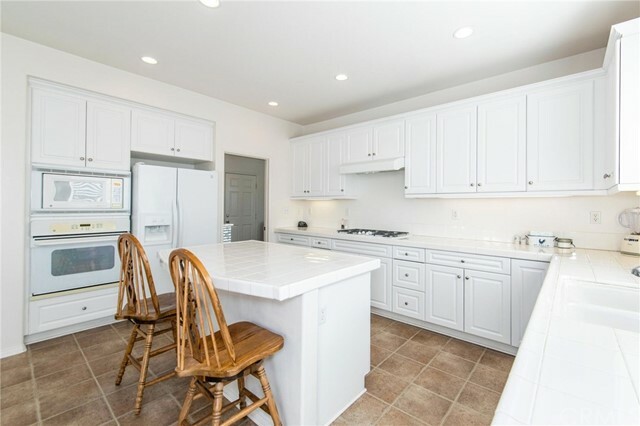 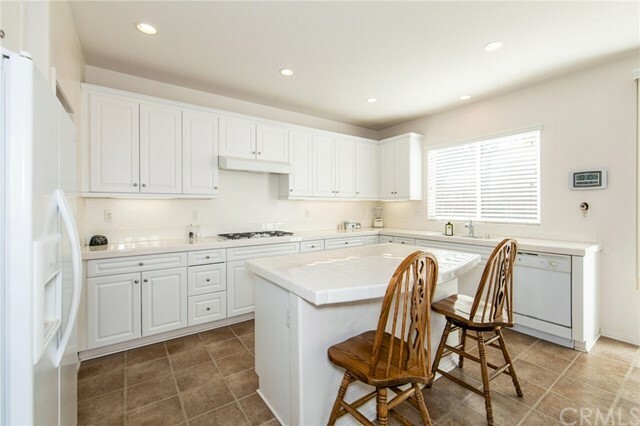 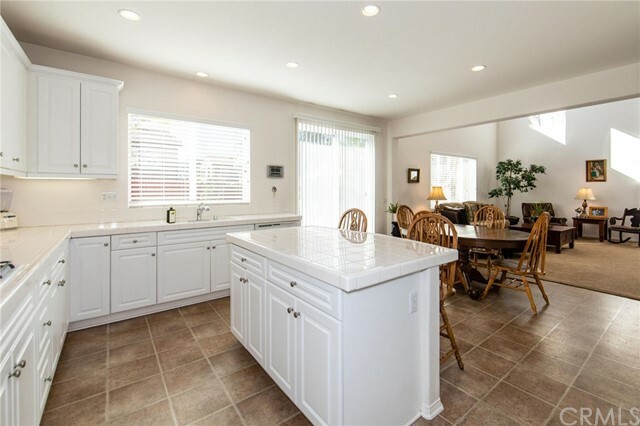 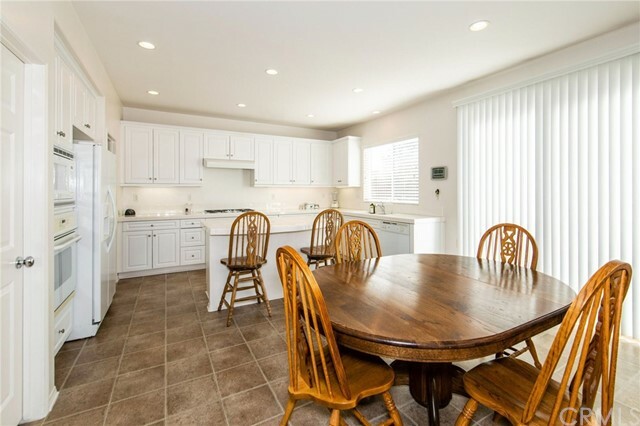 The kitchen is beautiful with a Large Island, and a Walk-in Pantry. 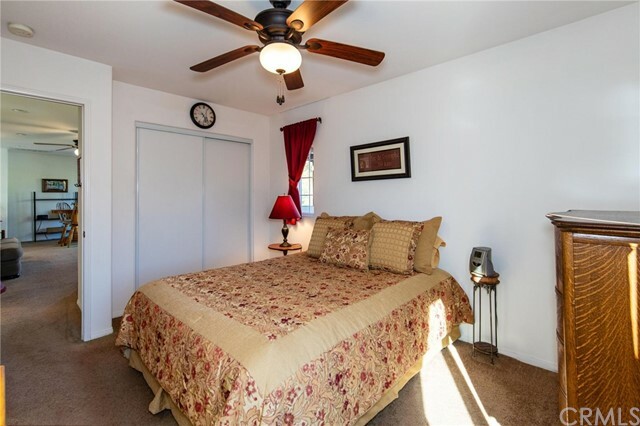 Upstairs is a LARGE Loft, and two supersized Bedrooms that easily accommodate Queen Beds. 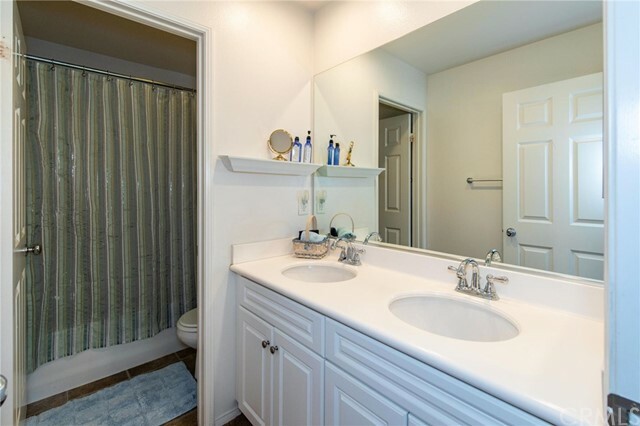 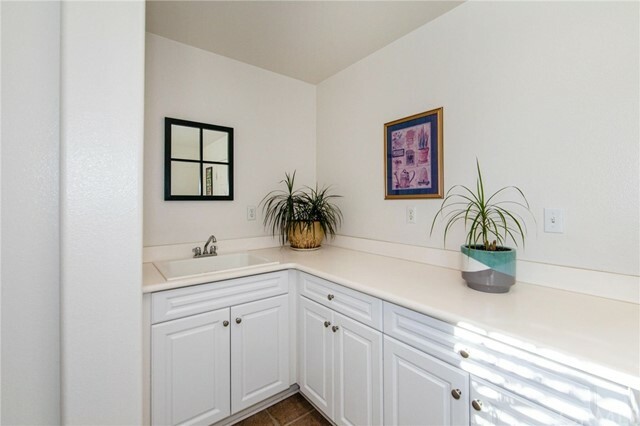 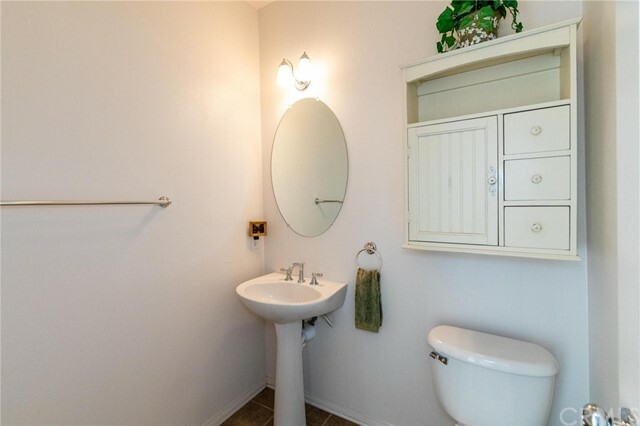 Hall Bathroom upstairs has dual sinks. 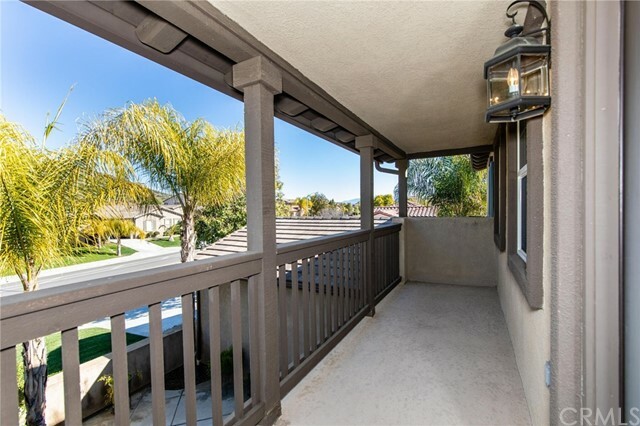 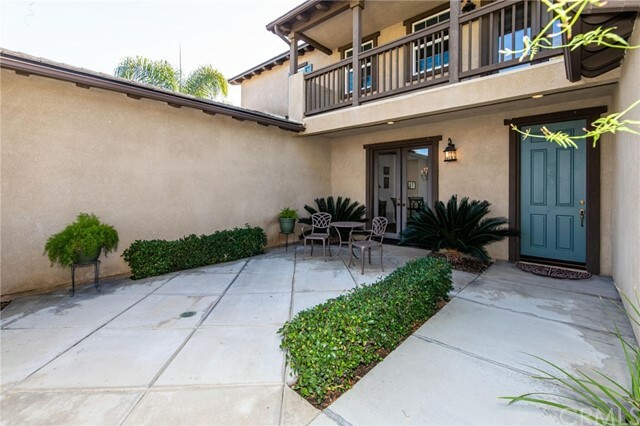 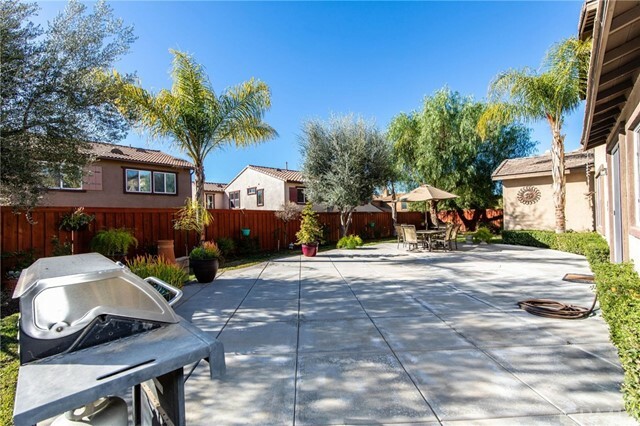 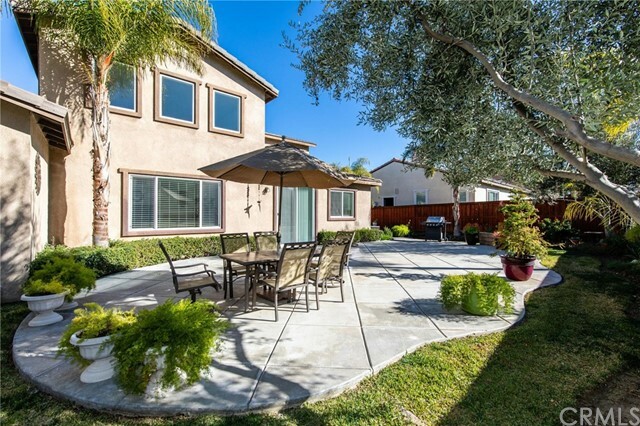 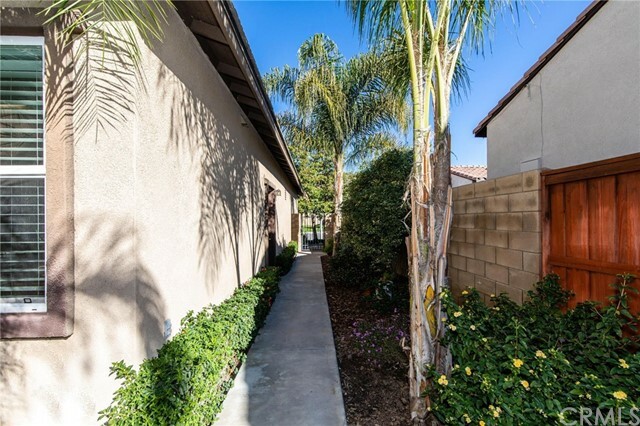 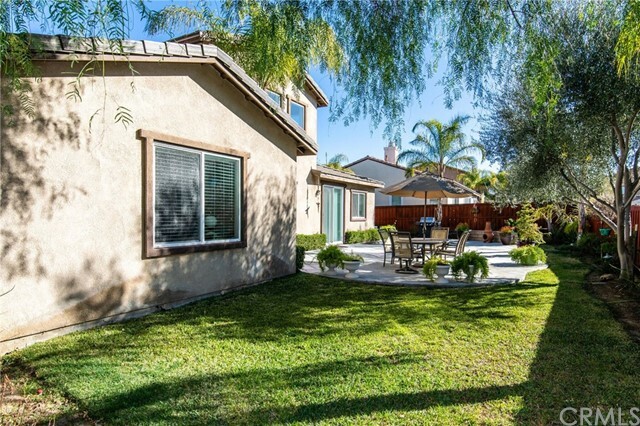 The Backyard has been meticulously maintained with beautiful mature landscape and a large patio area for Family Fun and Entertaining. 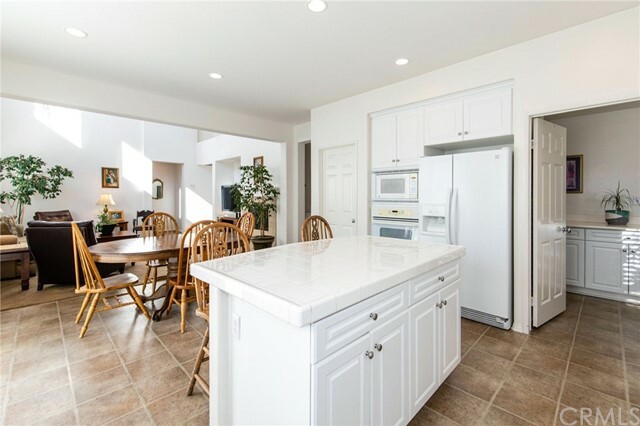 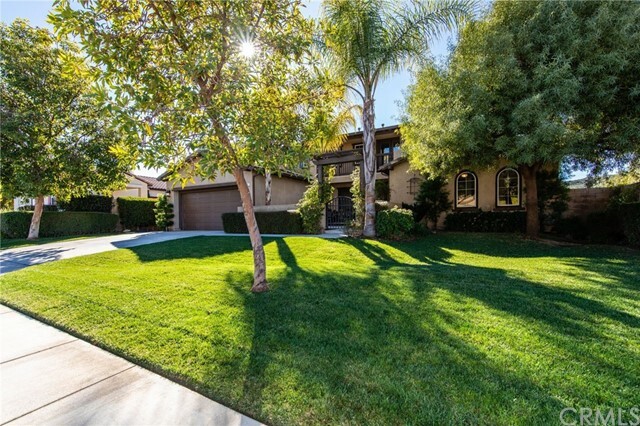 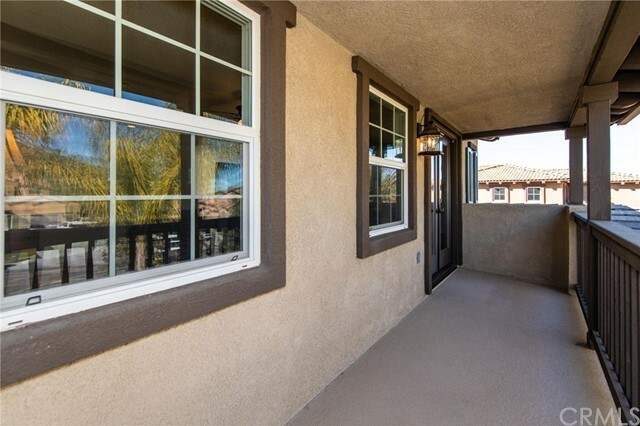 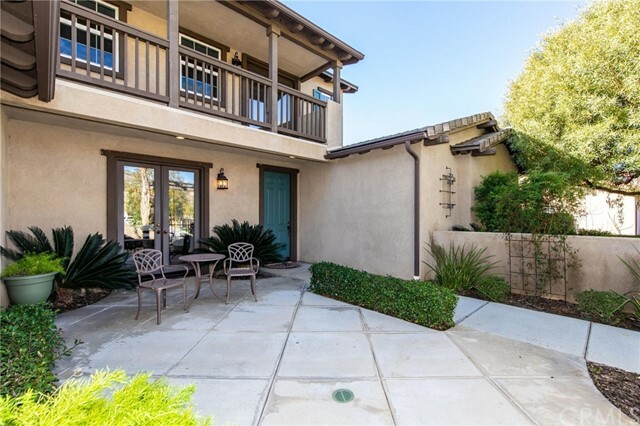 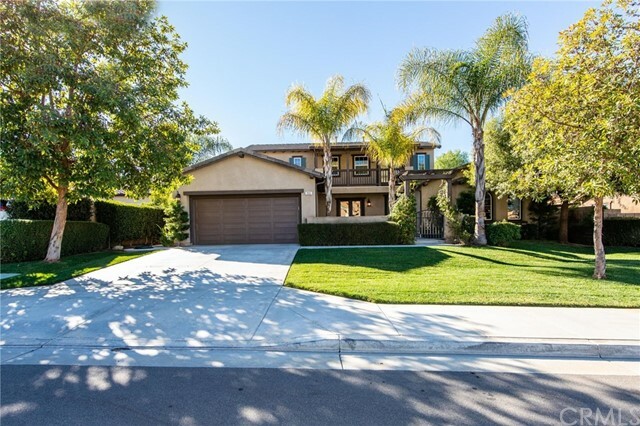 Come see this Big & Beautiful home TODAY!